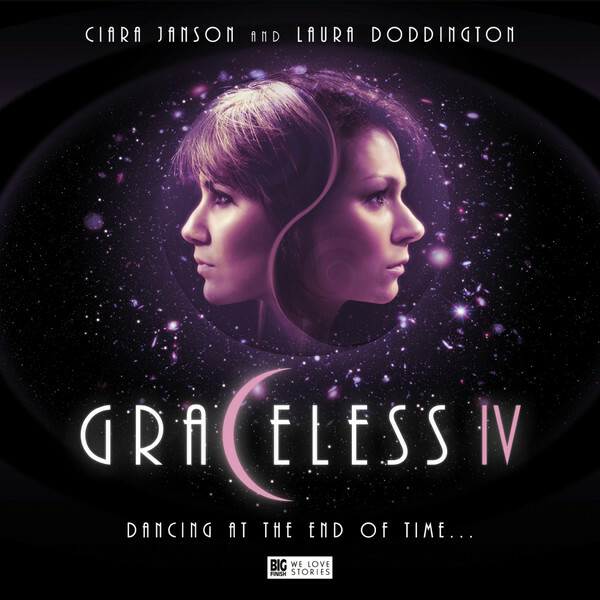 For those of you who don't know Abby and Zara are two beings who look like two young human women, played by Ciara Janson and Laura Doddington, who were creations of The Grace, sent to get the Doctor's help in resembling the Key To Time. With that task achieved, they got their own series of adventures, where they learned how to be human and what the downsides are to having their amazing powers. At the end of the third series of audio adventures, the pair had given up their powers and settled down as Amy and Joy, a pair of lively old women. The fourth set kicks off hundreds of years later. Amy and Joy are two old women who find that death is no longer too far away. Producer, Mark Wright picked up that challenge and cast Sian Phillips and Annie Firbank as the older sisters. This really is an inspired move and the pair are brilliant in the roles, making themselves instantly memorable. The pair keep a low profile as a disaster approaches, heralded by the mysterious Pool, who leads them on one final adventure and one final sacrifice. This is just the opening episode and the sisters are doing what they do best, trying to avert tragedy on a global scale. Following the first episode the sisters find themselves in the middle of a war between two far too deeply entrenched nations. The second episode not only explores what happens when the sisters interfere with history but it also tells the story with an entirely female cast of characters, including the proprietor of a restaurant who sells the best breakfast this side of the eventual apocalypse. The third outing is far subtler than the first two, but it is almost boring. Set in a hospital, there are two wicked sisters who bring the dead back to life and who want to interfere in the love life of one of the nurses. I'm sure that this is a well written tale on further listens but it is far too slow compared to the previous adventures. The good thing about this story is that the pair do seem more mature, which given how they are supposed to be hundreds of years older, is a good thing. The final story of the set, The Dance, puts Pool back at the centre of the story, along with two characters called Triangle and Oblong. The story explores the meaning and purpose of the sisters and is also nicely a not too heavy essay on the rights and wrongs of interference.